The New Black is… Lehr and Black. When it comes to the Kardashians, put me firmly in The Soup‘s camp (I love you, Joel McHale! And you too, Mankini). I will give one thumbs up to them though – at least Khloe’s good at picking an invitation designer. Lehr and Black is opulence at its best without an ounce of that tacky “lets add glittery paper here for no apparent reason” attitude. 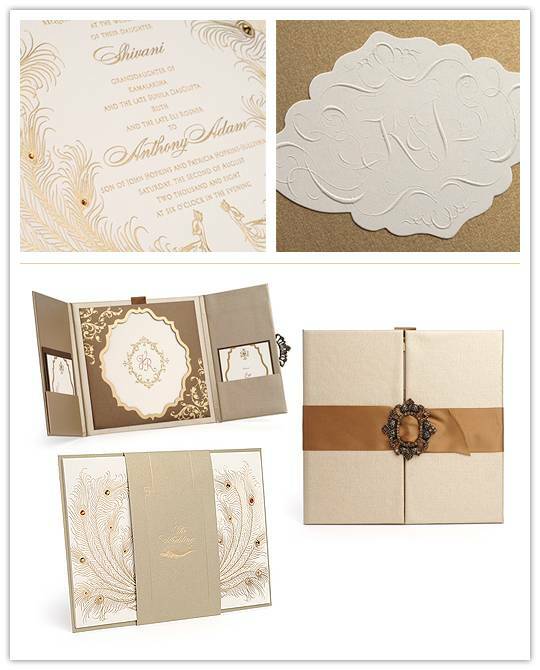 The invitations are classic but swanky. I’m particularly a huge fan of their blind embossed monogram shown above – absolutely beautiful! Though my personal taste tends a little more modern, their portfolio definitely earns some serious appreciation points from me as a graphic designer and paper goods addict. Hop on over for some serious inspiration! Images from Lehr and Black. i love this….how can i order it??? ?